Especially designed and made for my Ohio Valley gals! 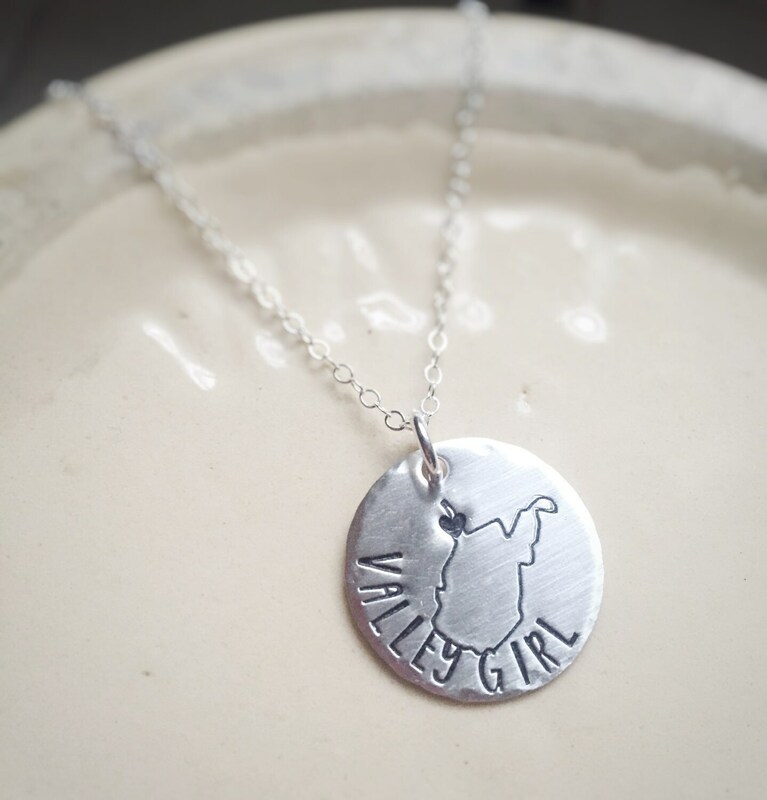 A 3/4" sterling silver disc is hand stamped by me with the outline of our beloved state, and I add a little heart right over our area. I stamped "Valley Girl" on the piece shown, but can stamp whatever text you'd like (up to 10 characters including spaces) as each piece is hand made to order. I finish the disc with hammered edges and a pretty brushed texture and hang it from a sterling silver cable chain in your choice of 16", 18" or 20" in length. In "message to seller" at checkout, please provide me with the text you'd like stamped on the necklace if you'd like it different as shown in the picture - UP TO 10 CHARACTERS only including spaces, please. 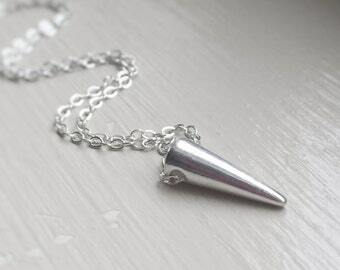 Your new necklace will arrive in River Valley Designs signature packaging, ready to give as a gift. Beautiful. Seller great as always. My wife loved this ring.